In 1999 Randy Remi Couture and Brian Keith Neighbor became restaurant design & build contractors after opening Restaurant & Commercial Builders LLC to serve Michigan and Ohio. They started their specialized company after identifying an important niche in the food service industry. 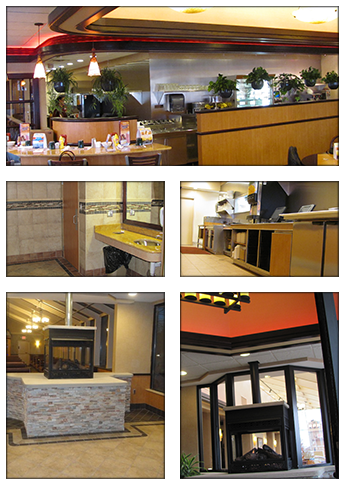 Restaurant & Commercial Builders LLC is strictly a commercial general contracting firm that specializes in design builds and food service (restaurant) construction. Randy and Brian have been business associates for more than 15 years and are planning on many more. Randy graduated from St. Claire College in 1975 with a degree in architectural technology. He has held a role in nearly every form of construction management. His experience led him to The RonSen Company™ in Farmington Hills, Michigan, where he served as vice president of operations from 1994 to 1999. During this time he was responsible for all bidding, design, and project management. Soon after, he partnered with Brian to start Restaurant & Commercial Builders LLC. Brian has held various construction jobs since graduating from the Wayne County I.B.C. trade school with a specialty in finished union carpentry. He got his footing in the industry after starting his own drywalling and service company. From 1993 to 1999, Brian also worked for The RonSen Company. He specialized in general contracting and design-build for commercial and industrial industries across the nation before starting Restaurant & Commercial Builders LLC with Randy.